Although I am not big fans of Call Of Duty games since Call Of Duty 1 or Call Of Duty Modern Warfare, but I have just started to play Call Of Duty Advanced Warfare with my PS4 since last year. I want to tell about Call Of Duty game is very awesome FPS game in PS4. With great stories, great multiplayer mode. But one thing about Call Of Duty when you play this in June – November, there are not much people to play Call Of Duty games due to I am in the ASEAN zone that don’t play Call Of Duty game diehardly. This make me feel sad littlely. Until in August 2015, I ever tried multiplayer beta version of Call Of Duty Black Ops III and there are many of player agree about Call Of Duty Black Ops III system that really awesome and balanced movement. Um… I felt ususal, not interested about this much. Sometimes I never play multiplayer in earlier Call Of Duty games so I felt usual. I may not talk about Multiplayer mode in Call Of Duty. I want to say about “Realistic” difficulty in campaign mode. “One hit, you dead” That sentence I may remember to many games in NES. There are many games in NES that when you hit something, you will die immediately. Such as Contra, Gradius, etc. For Mario, if Mario eat mushroom, 2 hits to die. After you die, Luckily some games revive you at same point you died so you enjoy continuously. But in NES games there counted 1UP, lives. So beware to die. If 1UP or lives are emptied, your game is over and you must be started to new game. 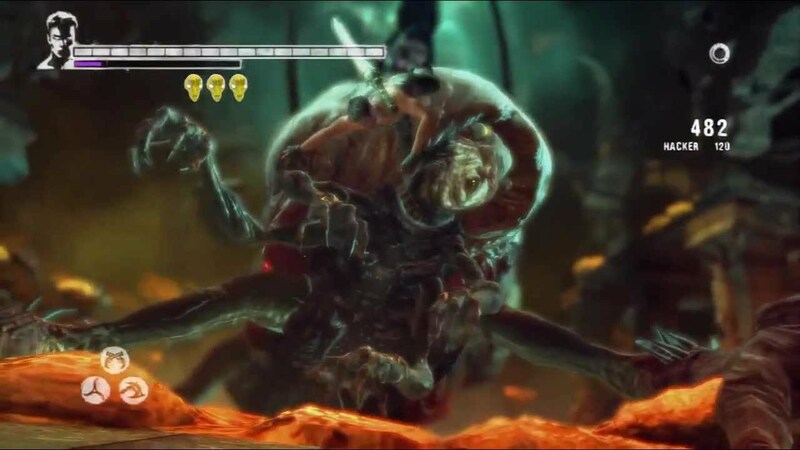 OK. Actually this difficulty ever happened at Devil May Cry series at “Heaven or Hell” or “Hell and Hell” difficulty. You can attack enemy with 1 slash or 1 shot, then they die, but if you are attacked, you are dead instantly. DMC with heaven or hell mode. I don’t know about “realistic” difficulty in Call Of Duty Black Ops III can hit enemy with one shot and they are dead? But this difficulty I think it is really awesome. Actually Call Of Duty is a game that you respawn unlimited times and there are many checkpoints in each mission. Sometimes I wanted to play Call Of Duty as same as NES feeling. There are 3 lives. If I died and that 3 lives to be emptied, that’s mean GAME OVER and I restarted that mission again. This is really more challenge. I think “No”. Call Of Duty games aren’t hard if you play this game with Metal Gear Solid style. Don’t be a Rambo or Bill from Contra who pull trigger from gun every times to shoot many enemies. Don’t do this. You’re not Rambo or Bill from Contra, but you’re black ops who operate many missions sharply. Think about you’re playing in multiplayer mode. That multiplayer mode is really harder than realistic. Although hitting in multiplayer mode isn’t dead instantly, but plans to kill from another player are a lot. Remember about in multiplayer mode we are playing with human, but in campaign mode you’re playing with AI that intelligence is lower than real human. So wait this until Call Of Duty Black Ops III will launch at November 6 2015. 2 weeks left!! Previous Post The best couples in Hormones The Series revealed! !